Participatory democracy, in which constituents are free to comment on the actions and views of elected officials, is one of the cornerstones of our nation. But not at the Orange County Board of Supervisors, where meetings are held in a manner more befitting a monarchy. 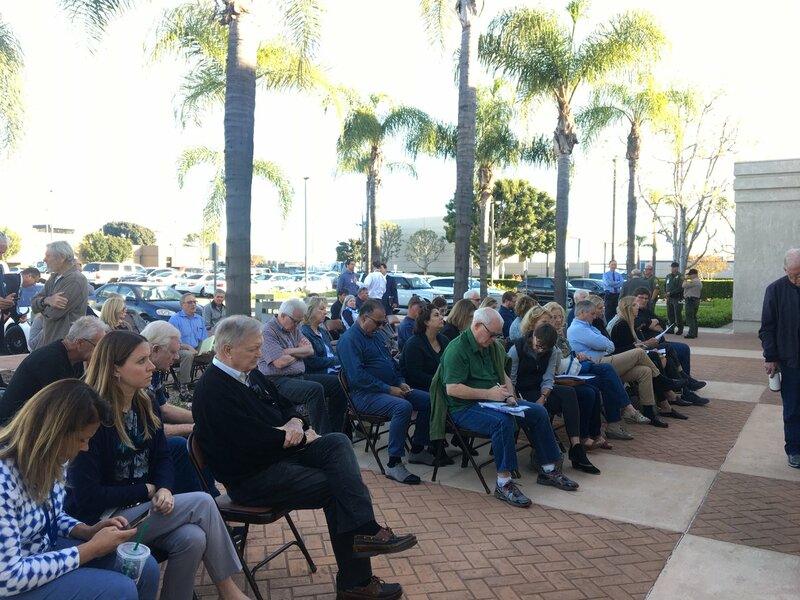 The City of Costa Mesa officially opened a 50-bed temporary bridge shelter on a portion of the Lighthouse Church property at 1885 Anaheim Avenue that will be a first step toward cleanup and restoration of Westside neighborhoods while addressing the issues of helping individuals up and out of homelessness. The CalOptima Board of Directors appropriated another $74.8 million in funding yesterday for response, coordination and other new initiatives benefitting Medi-Cal members who are homeless. The Board of Supervisors voted March 26 to approve $13 million toward the creation of an additional Crisis Stabilization Unit (CSU) for those persons in Orange County experiencing a mental health emergency. ActCoastal, the California Coast Accountability Project, released the 2018 California Coastal Commission Conservation Report Card. This annual report card monitors the performance of the California Coastal Commission, the state’s most powerful land use agency, by tracking conservation votes cast by individual commissioners. Orange County Sheriff’s Department Ends Its Immigrant Detention Contract with ICE. Sheriff Don Barnes decision comes after years of pressure from human and immigrant rights organizations over conditions of detention and the continuing change in political landscape in the county. Orange County, CA – On Wednesday March 27th, 2019, Orange County Sheriff Don Barnes announced through a press statement his decision to withdraw from the county’s ICE (Immigration and Customs Enforcement) contract. Orange County Superior Court Judge William D. Claster issued a ruling Friday in favor of Save the Canyons Coalition’s lawsuit challenging the County’sapproval of a commercial events venue – “Red Rock Gardens” – at a rural residential property along Santiago Canyon Road in Silverado. Women For: Orange County presents the 34th Annual Great American Write-In on Saturday, March 23, from 9:30am to 1:30pm at the Delhi Community Center in Santa Ana. Orange County Grantmakers, in partnership with the St. Joseph Health Community Partnership Fund, will present the results of the first ever Orange County Equity Report on March 26, 2019 at the Bowers Museum in Santa Ana.